This pretty ring is made from a rare flawless piece of light aqua sea glass. 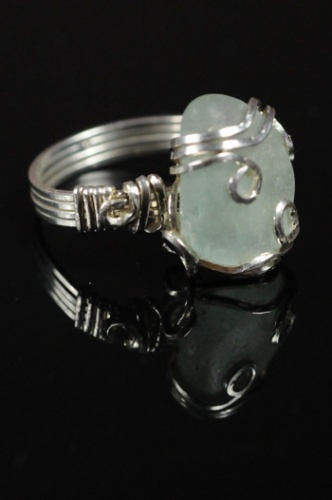 The sea glass is hand wrapped in sterling silver. Size 7.